The Purcellville Cannons have a history as rich as the league. 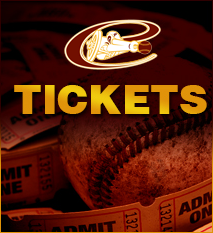 The Cannons baseball organization is part of the prestigious Valley Baseball League, which is NCAA Sanctioned and supported by Major League Baseball (MLB). The Cannons are a 501(c)(3) non-profit organization. The Valley Baseball League was founded in May of 1897, in Edinburg, Va. as a Class D minor league. Today, the league is a member of the National Alliance of Collegiate Summer Baseball (a national affiliation of 13 college summer leagues). Although the NCAA no longer has direct involvement with summer leagues, the league still operates under NCAA rules. The league is partially funded by a grant from Major League Baseball. The Cannons team is comprised of collegiate players from all over the United States recruited specifically through college coaches and major league scouts. The Valley Baseball League has been named one of the top in the country by Baseball America. With hundreds of player inquiries each season, the Valley Baseball League has just over 300 roster spots for top college baseball players. With limited roster opportunities, it is a privilege to play in this league. To be recruited as a potential Cannon’s team member, a recruit must be in good academic standing, and recommended by a college coach or a major league scout. This means that our community gets the opportunity to view baseball at the next level, with games being attended by College Scouts and Major League Scouts, as these are the players that will use the Valley Baseball League as their Gateway to the Majors. The Valley League is a very community-oriented venture. Each local community involves itself with their team by housing players, providing summer jobs, financially supporting the teams, and regularly attending games. Players do community service projects. Fans volunteer housing and pay for meals making players feel at home in our communities. Virtually hundreds of volunteers do everything from being host families to operating concessions at ballparks. Whether you are a coach, a player, a parent, or a fan, the Valley Baseball League has a lot to offer. It is important to Major League Baseball to have resources like the Valley League to develop top players that go on to play in the Majors. The Valley League has produced over 1,100 professional baseball players, including a record 79 former players drafted in the 2008 Major League Baseball First-Year Player Draft. The Valley Baseball League is an opportunity to see the highest level of amateur baseball played by teams competing within a league with one of the richest histories in baseball. The recent years have seen many changes for the Cannons. Upon becoming President of the organization, Brett Fuller relocated the team from Luray to Charles Town, becoming the first non-Virginia team in the 118-year history of the VBL. When the three year lease for Jefferson High School's Sager Field expired after 2015, Fuller considered other options and received a favorable response from Purcellville Town Council about potentially playing at Fireman's Field. Knowing Loudoun County has always been very supportive of baseball in Purcellville, referencing the large crowds Fireman's Field has attracted for Babe Ruth and American Legion baseball tournaments, Fuller got approval from the League for another move. Moving to Purcellville and being able to play at Fireman's Field, known as "one of the most nostalgic fields in the country", is a great honor for the Cannons. The Cannons' move to Fireman's Field was approved Sept. 15, 2105 after Loudoun County Parks and Recreation worked with the team to finalize scheduling logistics for the highly-utilized complex. The Cannons will play wood bat baseball from early June to early August. College players from all over the country will be competing six nights a week for the coveted Lineweaver Cup. The Cannons hope to energize a supportive Northern Virginia community with a summer of “Cannons Fever” and will also offer Baseball Camps for Kids.